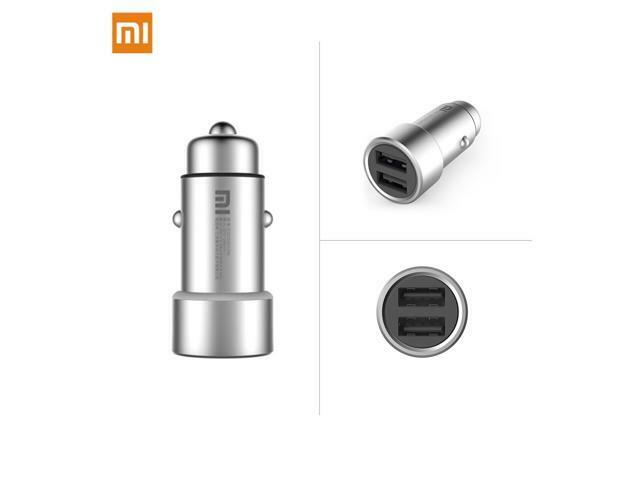 Xiaomi full metal dual port car charger, support fast charge. 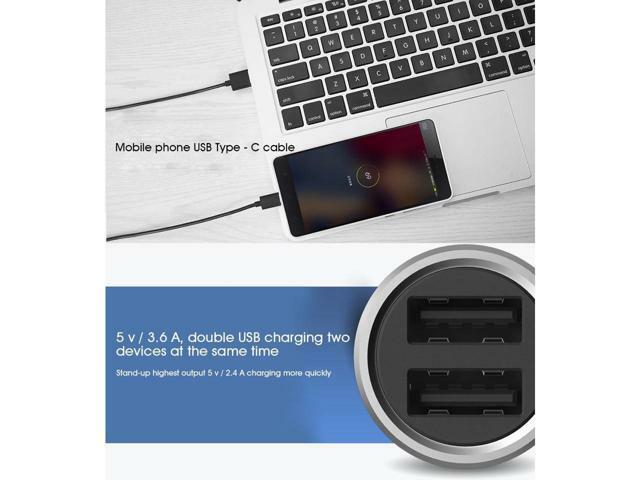 5V/3.6A, dual USB charging port can charging two devices at the same time. 1. Metal surface, made by CNC 18 process. 2. 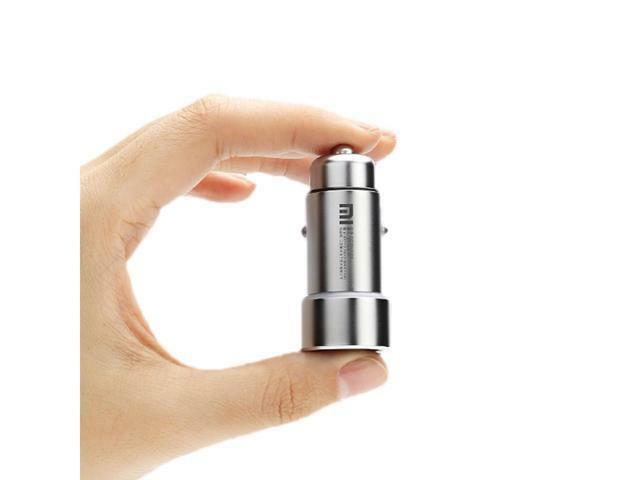 Output 3.6A max, per USB output up to 2.4A. 3. 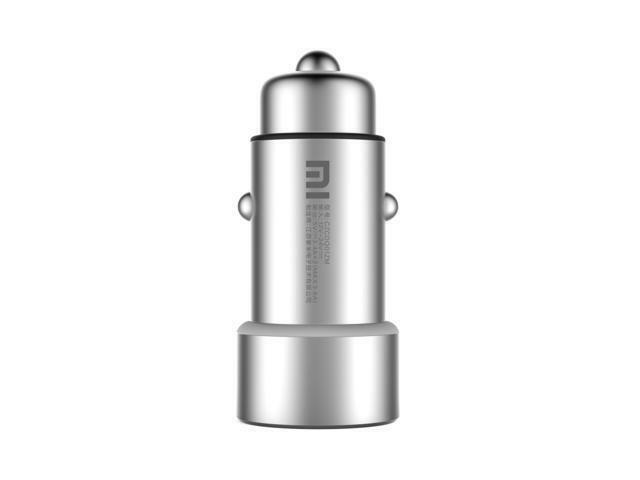 Intelligent recognition device, provide appropriate current. 4. 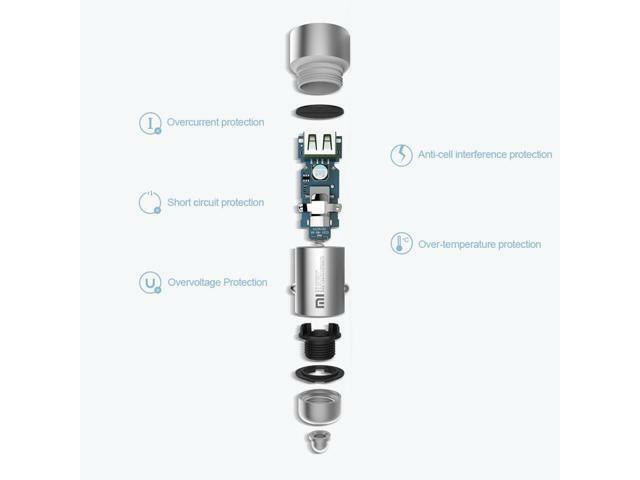 Five circuit protection, safety first. 6. 95% power conversion rate, more effective and more efficient. 7. Compitable with almost smart devices. 8. 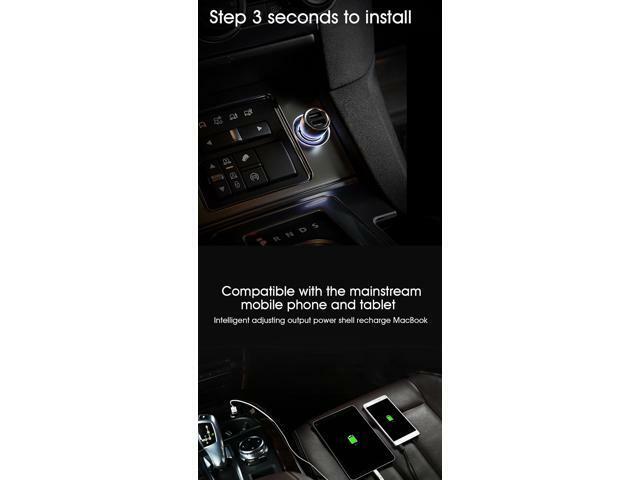 Suitable for almost car. 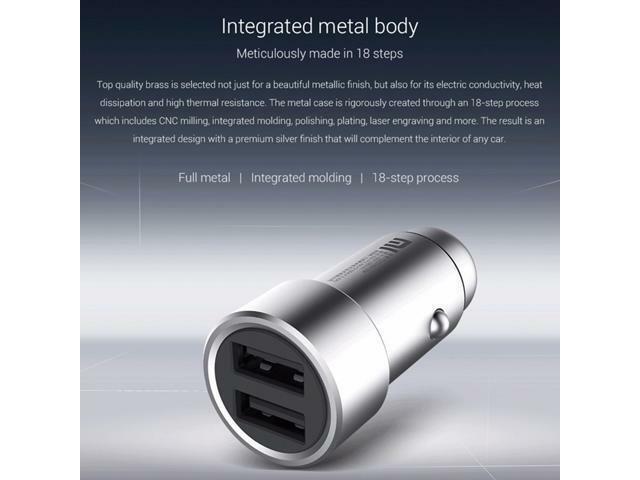 1.Type: Dual USB Car Charger. This item is covered by Gshopper Return Policy.